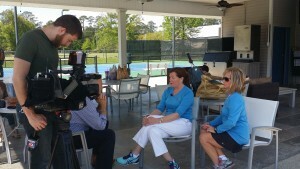 March 31, 2005 – Aneurysm survivors Rebecca Winchell and Cindy Kemp share their stories with WDSU TV’s Heath Allen. “It’s the worst headache ever. It’s nausea, dizziness,” Winchell said.